Hunting the “big man” of the forest is a treat for your senses. 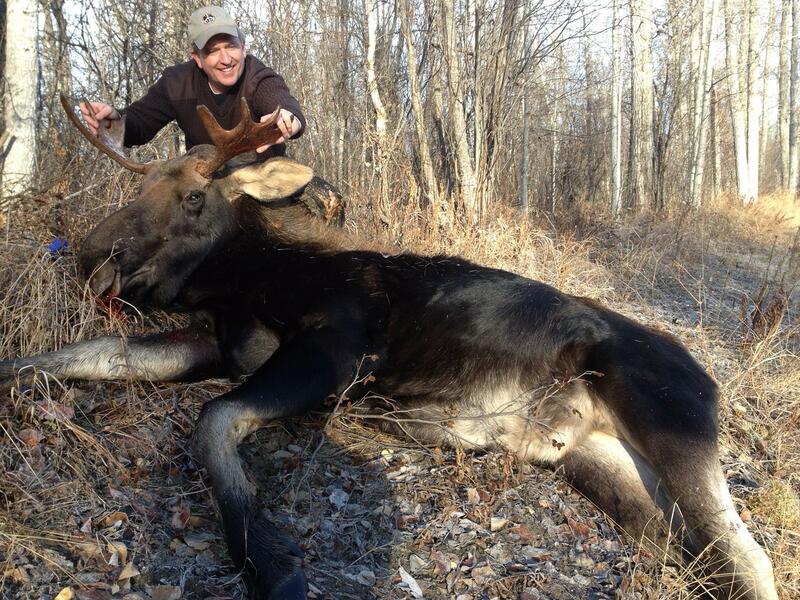 The Peace country has a very healthy moose population. You’ll be in wildlife management area 544, and our hunts take place in the remote backcountry in logged cutovers – near lakes, natural salt licks, cut-lines and beaver dams. Moose prefer these areas for the solitude, the food, and the abundance of water. We use pickups or quads to transport you into prime moose hunting areas. Hunting may also include sitting stands and calling – with more emphasis on covering some ground and locating bulls within rifle range. Our moose hunting season runs from November 1st through November 30th, when they have finished rutting and are concentrated in feeding areas. Leaves are gone and moose are easy to spot in their wintering grounds. Our hunts offer opportunities, with snow allowing for tracking into the hot spots. 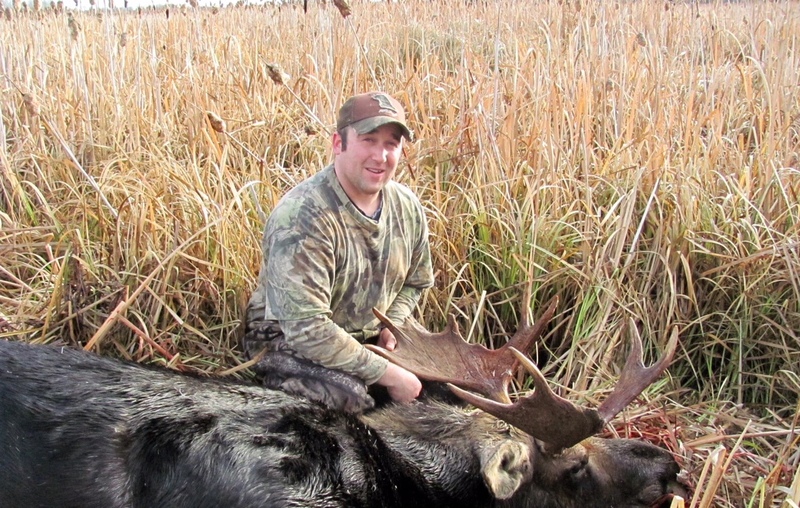 This late-season moose hunt is for the hardy hunter looking for a nice bull. Our Lodge is located in McLennan, Alberta on Kimiwan Lake – just a few miles away from our hunting area. With a population of approximately 900, it’s a welcoming town with all the basic amenities. We’re also known as the Bird Capital of Canada.
! 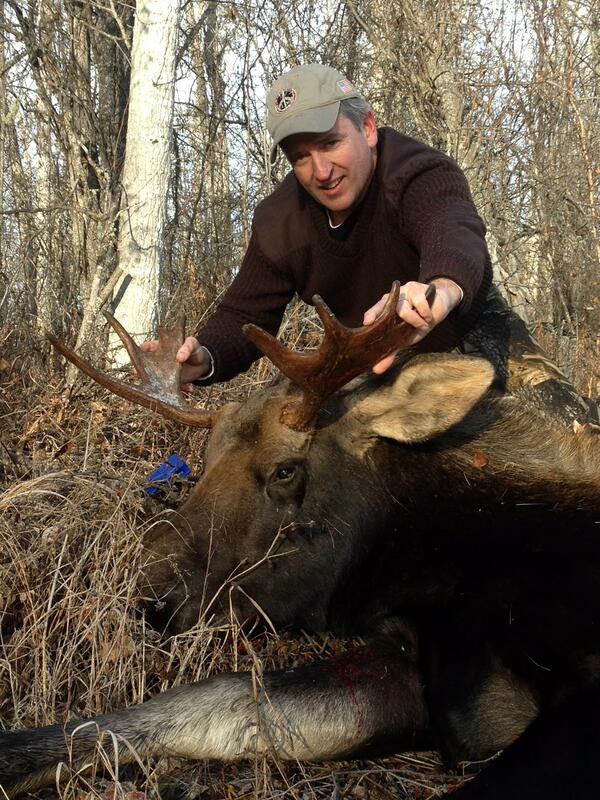 Non-hunters are welcome at a daily charge of $200.00US per person. – Early to Bed and Early to Rise! You can expect to be up early – our days start at 6:00 a.m. This early start might even provide an opportunity to see the northern lights while enjoying a light breakfast. We head out to areas that we’ve identified as having moose opportunities. Be prepared to be out for the day, because we hunt from sunrise to sunset each day. After the hunt, we come back to the Lodge for supper and story sharing before calling it a day. Our 6-day hunt is Monday through Saturday. Check-in to Lodge is 4:00pm Sunday and check-out at 12:00 noon the following Sunday. Nine and twelve-day hunt dates are flexible. You’ll be housed in one of our three lodges – double occupancy. There is also a sitting area with television and internet and a small kitchen area. Full shower facilities are also in every lodge. Outside, there are firepit and seating facilities. Meals are served in a common dining hall located near all three lodges.